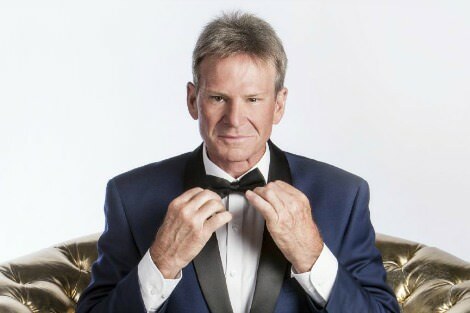 Last week Sam Newman told News Corp he'd been approached to run for mayor of Melbourne on a 'Donald Trump-like anti-political correctness platform'. The football personality gave little detail about his potential campaign, preferring to instead lend support to his former Footy Show colleague Eddie McGuire's 'joke' about drowning a female journalist. Nevertheless, the announcement raised an interesting question: where's the Trump in Australia's federal election? Or, for that matter, the Bernie Sanders or the Jeremy Corbyn? Some might object to linking Sanders and Corbyn with the Republican presidential nominee on the not unreasonable grounds that their leftwing populism raises fundamentally different issues than Trump's grandstanding on Muslims and immigration. Nevertheless, the point remains that, in the US, Britain and many other places, we've seen candidates from both Left and Right presenting themselves as outsiders challenging the political status quo. Why hasn't something similar emerged here? As Jonathan Green says, it's not difficult to identify a potential constituency in Australia, 'a shared sense that politics as we've known it has run its race, seeming to stop fatally short of offering a coherent response to real world problems outside the comforting self-serving conceits of the media-political bubble'. After the extraordinary events of the past few years, a period in which both major parties were wracked by Game of Thrones-style intrigues, we might have expected this election to throw up more surprises. Instead, with Malcolm Turnbull and Bill Shorten, Labor and Liberal seem almost to have reverted to their political archetypes. This, after all, is a contest that pits an urbane merchant banker against a former union bureaucrat — two candidates who might almost have been selected from central casting. "The issues deemed the most important are precisely those that cannot be discussed — a paradox that neatly captures the dysfunction of 21st century politics." The overt normalcy of the election appears particularly odd given that neither party's resolved the issues underpinning the Rudd/Gillard feud and the Turnbull/Abbott clash. Many commentators have identified the collapse of the traditional support base of the majors as the source of the extraordinary recent instability, with the slow erosion of the constituencies defining politics in the 20th century leading to the absence of policy confidence that so marks the present day. For instance, the Age explained that we probably wouldn't get a debate on health and immigration, ('the two biggest issues in the final weeks of the election campaign') because 'the parties were unwilling to participate in debates on their respective perceived weaknesses'. The issues deemed the most important are precisely those that cannot be discussed — a paradox that neatly captures the dysfunction of 21st century politics. The contest between Turnbull and Shorten thus represents less a return to political normalcy than a determination to pretend that nothing's changed. When Wile E. Coyote runs off a cliff, he can stay in the air for quite some time, so long as he doesn't acknowledge the abyss beneath him. In some ways, the determination of the major parties to continue with business as usual comes as less of a surprise than the inability of the Greens to capitalise on the hostility to traditional politics. Think of Bob Brown heckling George W. Bush from the floor of parliament house back in 2004: a gesture that, in many ways, foreshadowed the extravagant defiance of the new anti-establishment populists across the world. Since then, however, the Greens have evolved in a different direction, especially with Richard Di Natale at the helm. As leader, Di Natale has articulated a vision of the Greens as 'the natural home of progressive mainstream Australian voters', a presentation generally hailed by political commentators schooled in the traditional adage about elections being won from the centre. Yet it's no longer apparent that the old wisdom still holds — we might equally say that Di Natale embraced politics-as-usual just as politics-as-unusual began to manifest everywhere. The Greens may well win some more inner city seats. But it's notable that this election hasn't generated anything like the almost ecstatic enthusiasm expressed by supporters of Corbyn or Sanders. Meanwhile, the Clive Palmer push has, for the most part, flamed out, while the Trumpite mutterings voiced by elements of the Liberal Right have died away. Palmer was probably too distinctively a product of Queensland to tap into the national zeitgeist (readers of a certain age will recall the ill-fated Joh-for-PM push) and, though the removal of Tony Abbott spurred chatter about a new conservative grouping, most of those named as likely founders still see their future as depending on the coalition. Cory Bernardi, for instance, might raise the distinctly Trumpian slogan of a 'common sense revolution' but even as he snipes at Turnbull he's drawn back from anything that might entail a sharp political break. One suspects that the Newman-for-mayor push will probably come to nothing, too. The ex-footballer told the press that, should he run, his campaign would be 'about graffiti, litter and a few other things' — scarcely an electrifying platform. Nonetheless, with the main players in the federal election determined to maintain a holding pattern even as the world shifts around them, a major push from some kind of political outsider still seems very much on the agenda. There is some irony in your seeming to take the execrable Sam Newman - he of the infamous 'blackface' skit and dreadful onscreen attack on Caroline Wilson - seriously. If ever a silver bullet was fired at Sam the superb Patrick Smith did it in the Australian on 28-6-2016. We did have our Donald Trump. She is called Pauline Hanson and is standing again. Mainstream Australian left her behind years ago. Corey Bernardi has a sense of reality. That is why he is still in the tent. There are many intelligent political commentators who would agree with the Greens conservation agenda but less by their new gender agenda. What has been called a Trotskyite agenda as exemplified by the Safe Schools Program - condemned by someone of the calibre of Cate McGregor - is one of those subjects that many intelligent Australians would like to discuss. They would be afraid of being deliberately lumped in with the supposedly Christian Right. Political correctness is stifling necessary debate as much as the dumbing down of discussion by politicians. This election falls in the aftermath of years of political bastardry of the type that deflates and exasperates the electorate. Both major parties know they are 'on the nose' and have played safe and nice. After the longest campaign ever it still feels as if the election has not taken off. No-one has dared (including the almost invisible Di Natale) to set forth an agenda for genuine change or national soul-searching. It is clear that western politics is drifting to the right after years of fear-mongering by major players. The fact that a major democracy with sea borders is violently fearful of a small group of desperate refugees and is willing to villify them and violate their rights say everything that needs to be said about our own (false and manufactured) political climate. The tragedy in all of this strategic avoidance of the real issues is that our national character has nothing of substance to align itself to and retreats into an entirely normal and understandable position of self-interest. Australia is the fat, rich kid sitting at the back of the room not paying attention and scared that it'll one day be asked a real question. We could be so much better as a nation and as a global citizen. Other nations could look to us as more than a holiday destination or a source of primary resources. We could have a moral character. We have our Trumps and Sanders but they're at the beach or watching Netflix. I agree there's a vacuum to fill but are there those who care enough? Steve D. Wish I could have said what you have just expressed so clearly. Jeff, I agree. Pauline Hansen does reflect the mindset of Trump , Boris Johnson and the UKIP mob, but like them , she is quite irrelevant to most thoughtful voters, at least here in Australia. Sadly its the uneducated, disadvantaged section of society that these groups appeal to . Jeff you are correct there is a notable disillusionment with main stream politics . I suspect this weekend will see that disappointment show up in a reduced vote for mainstream parties. These are indeed extraordinary times; but with an Australian politics that across the spectrum refuses to engage and prefers to pretend that all is just fine.The different at the moment between Australia and much of the world is that we have have a really great 25 years of growth, prosperity and rising living standards across the board, and he general population feels just great about the future. It has actually come to a crashing halt as it did elsewhere years ago, but because of intense government and personal borrowing none here seems yet to have noticed. The young in particular who should be really angry with the debts that are being racked up for them to pay off later , and the austerity they will have to face in due course. They are being especially bing conned by the "progressives" (mainly read Greens) into believing that the big issues are Gay right and ridiculously wasteful energy policies that can do nothing about global warming! Why hasn't Australia witnessed the rise of populist candidates like Trump and Sanders? It has been six years since I lived in Perth, but I suggest that despite global difficulties both Australian leaders are closer to the public than in the US UK or much of Europe. Brexit was the response to Laughing Boy Osborne and his program of fleecing the poor to pay the rich. One moderate Banker's Bonus is more than I earned in 40 yrs even allowing for inflation. Shorten and Turnbull, from my memory, are both decent people, Australia has no need for weirdo or far left candidates. Steve D, yes we do have our Sanders, however they belong to small parties who gain traction only by the sheer will of their volunteers and activists and, of course, big business is not going to support them…so the voice is small, but it is there….Socialist Alliance is the Sanders voice and has been for many many years, we will see Sam Wainright in the next WA state election, he is our Sanders, an activist and community campaigner, Councillor and seasoned public speaker. he is the voice of the many in our community, in Fremantle WA….check it out, the voice is there and has been for some time. Russians probaly told Trump not to debate Sanders. Just keep grinning and wait, the fix is in boy.